Are you interested in investing in Tampa Bay real estate? It is still a great time to purchase investment properties here. 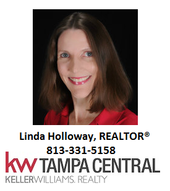 As a REALTOR® and Real Estate Investment Specialist in the Tampa Bay area, I am able to evaluate properties and calculate cash flow to determine if a property would work for your portfolio and investment needs. There are several factors to consider when investing in real estate. These factors include the local market conditions, population and migration patterns, and employment. With differing types of investors, each investor has a unique purpose for choosing a property. Cash flow and depreciation are two benefits of investing in residential real estate. Other factors to consider include how much work you want to put into a property and whether you are planning to rent or sell the property. If you are planning to rent the property, will you hire a property manager or manage the property yourself? Investing in real estate can build wealth and be financially rewarding. In addition to considering the above factors, it is important to know the reason you are investing when purchasing a property. If you are interested in investing in real estate in the Tampa Bay area, I would be happy to meet with you to discuss your investment goals and appropriate properties for building your investment portfolio.